Held annually since 2002 on the Mornington Peninsula, the Arthurs Seat Challenge is a 6.7km fun run and walk raising funds to reduce the road toll for young people. Spicy Web were engaged by the community-run event team to build a basic website for the 2018 instalment. We quickly identified a significant opportunity to breathe new life into the iconic event that had fallen out of favour with the local and broader community. Working from the ground up with the event team, we developed a complete rebrand of the event starting with a brand new logo and extending to an extensive suite of collateral. A fresh colour palette was developed to literally signal the layout of the course — beginning by the water of Port Phillip Bay and winding up to the summit of Arthurs Seat. Written messaging was employed to communicate the event to a broad audience with simplicity and creativity. 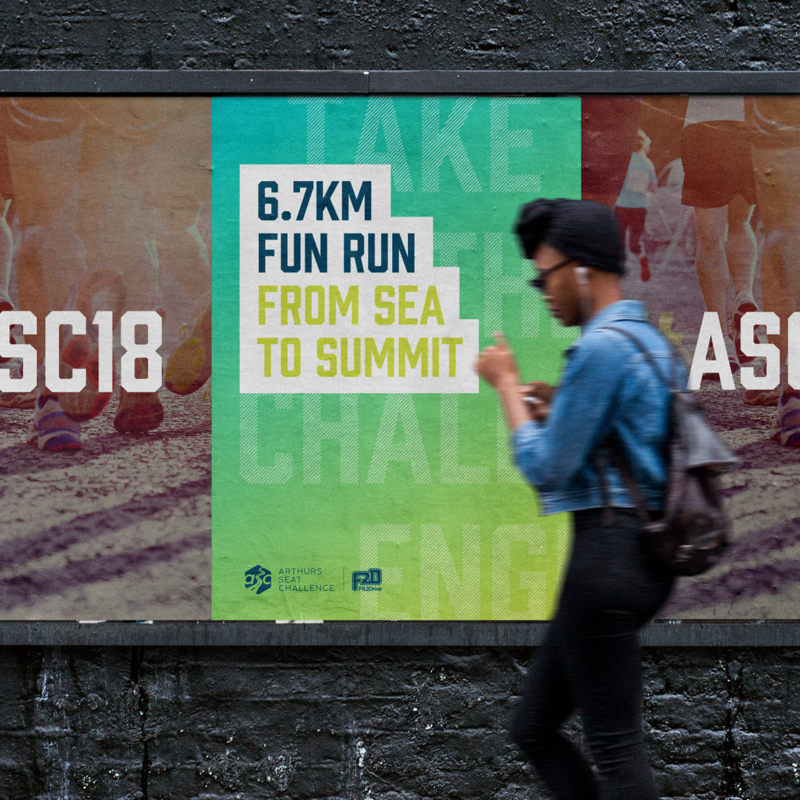 Key pieces of creative were developed for the marketing campaign including printed posters, press and digital ads, and race-day collateral to shed new light on the long-running event and drive registrations. A modest Craft CMS website was created to communicate to all stakeholders, with simple user pathways to register, find event details and much more. We also developed a suite of social graphics for the event team to use in the lead up to the event. This included setting up graphic templates that carry the brand and allow the event team to customise in their own time.